Litter is an agent of disorder and this paper examines how it can demonstrate and disrupt boundaries between the country and the city, and access fears around change and preservation, revealing that people as well as things can be considered to be in the wrong place. It begins by examining papers from the Mass-Observation archive on the appearance of litter trails in the English countryside during World War II. The documents show that strange montages of litter such as cigarette packets pegged on sticks, colour co-ordinated chocolate wrappers, together with drawings chalked onto gateposts, were discovered by a team of academics from Cambridge University in 1940. They were thought to be secret signals marking paths for a potential invasion. This theme of invasion is also examined through a reading of the Keep Britain Tidy organisation, it is argued that litter can be thought to signal an “invasion” of the countryside, this time by tourists and new immigrant populations, rather than enemy soldiers. This idea highlights notions of perceived ownership, and the idea that some people as well as some things can be out of place in the countryside. Here we see how keeping Britain tidy can become an act of patriotism while dropping litter becomes an act of treachery and unbelonging. This narrative is then complicated by thinking about practices of littering by residents rather than visitors. Can dropping litter actually be more about laying claim to a place than the act of keeping it tidy? What kinds of official and unofficial forms of ownership can be disrupted or enacted by leaving litter? 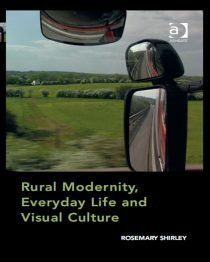 Drawing on the works Dangerous Pathway (1999) and Lurky Place (1979) by artist Stephen Willats, these different notions of ownership and use of the countryside are brought into play.